There is so much information out there about LASIK, and it is important that you feel comfortable in your choice of LASIK providers. We want to put your mind at ease and walk you through your LASIK options step by step so that you can make a fully informed decision. During your FREE laser eye surgery consultation, we will provide you with an in-depth eye exam. Based on your results we will provide you with the best options available. The experienced team at the TLC Indianapolis Laser Eye Surgery Center is excited to help get you on your way to corrected vision. Our dedicated team of LASIK professionals led by Dr. Anthony Lombardo and Dr. Paul Cacchillo want to make your vision correction dreams a reality. Schedule a Free LASIK Consultation in Indianapolis today! Dr. Stegemiller has been providing quality vision care for years graduating from the prestigious Indiana University School of Optometry. She specializes in glasses, contact lenses, treatment of ocular diseases and also enjoys helping patients attain an improved lifestyle with refractive surgery. 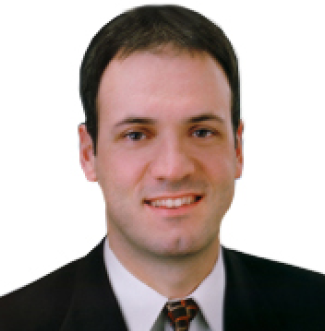 Dr. Judson Avila grew up in Toledo, Ohio, and has practiced and lived in Indianapolis since 2008. He enjoys co-managing LASIK, PRK, and other ocular procedures. Dr. Avila's wife Maggie is also a practicing Optometrist. They have a young daughter Charlotte. Dr. Shah has been providing quality vision care for 3 years graduating from Illinois College of Optometry in 2009. Dr. Shah specializes in glasses, contact lenses, treatment of ocular diseases and also enjoys helping patients attain an improved lifestyle with refractive surgery. 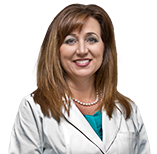 Dr. Cox received both her Bachelor of Science and Doctor of Optometry degrees from Indiana University in Bloomington. She practices comprehensive eye care with a special interest in contact lenses, refractive surgery co-management, and diagnosis/management of ocular disease. 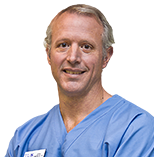 Dr. Steve Beck graduated from the Indiana University School of Optometry in 1998 and then completed a residency in ocular disease and refractive surgery Oklahoma City. He moved to the Lafayette area in 1999. He has two daughters and is in private practice Optometry with his wife, Stacey. Dr. Prather provides quality vision care for over 10 years graduating from the prestigious Indiana University School of Optometry. Dr. Prather specializes in glasses, contact lenses, treatment of ocular diseases and also enjoys helping patients attain an improved lifestyle with refractive surgery. Dr Borchert has been providing quality vision care for years graduating from the prestigious Indiana University School of Optometry. Dr Borchert specializes in glasses, contact lenses, treatment of ocular diseases and also enjoys helping patients attain an improved lifestyle with refractive surgery. Dr. Wolf graduated from the prestigious Indiana University School of Optometry. Dr. Wolf specializes in glasses, contact lenses, treatment of ocular diseases and also enjoys helping patients attain an improved lifestyle with refractive surgery. I had the privilege of working at TLC Indiana several years ago, and now I use that knowledge and confidence in laser refractive surgery to help my current patients make the best decision for them. I split my time between RevolutionEYES in Carmel and Advanced Vision Care in Zionsville. Dr. Turner has been providing quality vision care for over 10 years graduating from Indiana University School of Optometry. Dr. Turner specializes in glasses, contact lenses, treatment of ocular diseases and also enjoys helping patients attain an improved lifestyle with refractive surgery.